School boards should develop and communicate a comprehensive diabetes management policy that includes the roles and responsibilities of the students living with diabetes, their parents/caregivers and school personnel. School principals should work with each student living with diabetes, their parents/caregivers and healthcare professionals to develop and communicate to school personnel and Individual Care Plan (ICP) that complies with the student’s prescribed diabetes management regimen. Each ICP should be comprised of a daily management plan and a diabetes emergency plan. School personnel should be trained to recognize emergency situations and to respond appropriately according to the student’s individual care plan (ICP). School personnel should be trained to administer glucagon in the event of a severe hypoglycemic reaction. Teach your child to manage his or her diabetes from the first day at school. Set up a care plan for your child and work with school staff to help your child manage diabetes daily. You’ve probably already bought the basic school supplies for sending your child back to school. 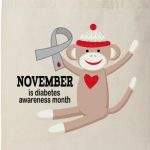 But if your child has diabetes, you need to make additional preparations. A person with diabetes must manage this chronic illness all the time, including during the school day. Staff such as nurses, teachers, and coaches can work with you and your child on managing diabetes. This assistance may include helping your child take medications, check blood sugar levels, choose healthy foods in the cafeteria, and be physically active. These key tips can help your child get ready for the first day of school and for the rest of the school year. Click Here For A Free Ebook that provides you with some of the most important information you need to know about homeschooling. Meet with staff before school starts or early in the school year to learn how the school helps students care for diabetes and handles any diabetes-related emergencies. Work with your child’s doctor and school staff to create a Diabetes Medical Management Plan. Having a plan helps your child and school workers manage diabetes in school and during extracurricular activities such as field trips or sports. Include information on services the school will provide and how to recognize high and low blood sugar levels. Your child may need assistance with giving insulin and checking blood sugar levels, and also may need to eat snacks in the classroom. Give the school staff a list of contacts for your child, including physicians and emergency contacts. Be sure school workers have a glucagon emergency kit and know how to use it if your child experiences a low blood sugar emergency. If your child is going to monitor his or her blood sugar, ensure that he or she feels comfortable doing so. Your child needs access to supplies to manage diabetes and to treat any episodes of high or low blood sugar. Ensure your child wears medical ID jewelry. Blood glucose (sugar) meter, testing strips, lancets, and extra batteries for the meter. 3-5 pieces of hard candy. 4-6 ounces of regular (non-diet) soda. 4-6 ounces of orange juice. 8 ounces of nonfat or low-fat milk. If a trained school employee will do the monitoring, be sure your child knows where and when to go for testing. Make sure your child knows who to go to for help with high or low blood sugar episodes. Outline these actions in the Diabetes Medical Management Plan. Prepare a healthy breakfast, which will help your child stay focused and active. If you send a lunch with your child, pack a healthy meal that contains whole grains, fresh fruits, and vegetables. Replace high-fat foods with low-fat options, such as low-fat turkey, reduced-fat cheese, and skim milk. Include healthy snacks, such as fruit, nuts, or seeds, which your child can eat later in the day to avoid the vending machine and keep blood sugar under control. If your child buys meals at school, look at the cafeteria menus together to help him or her make choices for a healthy meal plan. Many schools post their menus online, or you can request this information from school workers. Being active can help your child improve his or her blood sugar control. Having diabetes doesn’t mean that your child can’t be physically active or participate in physical education classes. In fact, being active can help your child improve his or her blood sugar control. Limit screen time—TV, video games, and the Internet—to 1 to 2 hours a day. Being active at an early age establishes good habits for a lifetime and is a lot of fun. Encourage your child by being active together—doing such things as walking the dog, riding bicycles, or playing basketball—and you will get the health benefits too. Click here For Free Ebook called “Basketball Pro”.Get all the support and guidance you need to be a success at your best basketball game. Check to be sure your child has had all recommended vaccinations, including the flu shot. If a child with diabetes gets sick, he or she can take longer to recover than children without diabetes. Talk to your child’s doctor to see if your child needs any vaccinations before starting the school year. Encourage your child to wash his or her hands regularly, especially before eating and after using the bathroom. Diabetes doesn’t have to get in the way of your child’s good experience at school. Remember, parents and schools have the same goal: to ensure that students with diabetes are safe and that they’re able to learn in a supportive environment. Make sure school staff have the information and resources they need for your child’s safety and health. Teach your child to manage diabetes during the school day.